You will join a rich research group containing postdoctoral research fellows, PhD students and masters students working on various aspects of nutrition, health, disease, behaviour, microbiomes and welfare of species of fish, crustaceans and molluscs of commercial relevance. This area is supported by research councils such as the Biotechnology and Biological Sciences Research Council (BBSRC), Natural Environment Research Council (NERC) and Innovate UK. Other research projects are funded by commercial and industrial companies such as BioMar, Lallemand SAS, Leiber GmbH, Clasado Biosciences, Skretting, Alltech Coppens as well as leading research centres globally in Brazil, Chile, China and elsewhere. We actively engage with hatcheries, aquaculture farms and various other organisations nationally and internationally to support and conduct research and development at fundamental and applied levels. And a range of other laboratories and services available within the Faculty of Science and Engineering. A diverse range of project themes are available to suit your interests. 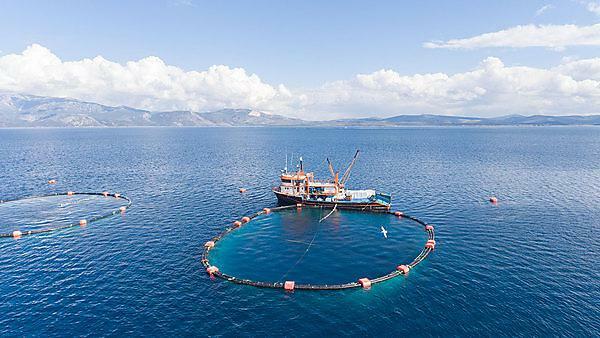 These include nutrition, immunology, fundamental husbandry requirements, behavior and welfare, microbiology, physiology, toxicology and environmental impacts of aquaculture activities. You can undertake your project at Plymouth using our campus based facilities, or with partner organizations offering projects across the UK and beyond. In recent years student project options have included opportunities to work in Chile, Denmark, India, France, Mexico, the Netherlands, Norway and Oman. Our students have progressed into careers within R&D departments of the Aquaculture and Aquafeed Nutrition industry. Others have progressed into research activities within academia. On completion of this masters programme you can apply to study a suitable of doctoral programme at the University of Plymouth or elsewhere. PhD programmes presently undertaken include fish nutrition and feed technology, fish health and physiological biochemistry associated with aquaculture. See our careers page for further details.